Here is a great article about maintaining the carpet in your business or home. Carpet cleaning Meridian Idaho. Place walk-off mats or grids at the entry points to your home or business. This will help prevent soil from being tracked from the outside onto the inside carpeting. Vacuum and/or clean these mats frequently. Once they become loaded with soil, their effectiveness is greatly reduced. The winter months can be brutal on your carpet. The snow, dirt, mud, and other elements that the winter brings can quickly wreak havoc on you carpeting investment. A good deep carpet cleaning can prevent this mess from becoming permanent damage. 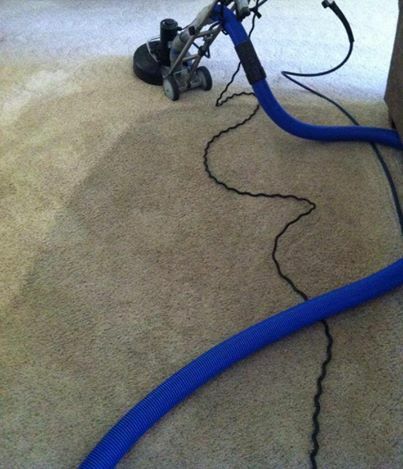 Call Carpet Geek to get your carpet renewed with a deep cleaning. We have the knowledge, experience, and the equipment to get the job done right! I had a good amount of reviews on Google places. I was the number one in my area and I got a lot of calls from new customers because of it. Because of a misunderstanding with Google’s policies, my account was deleted. I lost all of my reviews and I had to create a new account. Phil Robertson may not appreciate me writing about his business or his family. I’m what Phil would derisively call a “yuppy.” I don’t own camo, hunt, or have a beard. That’s not to say I’m some granola PETA-type; I’m a devoted carnivore who loves gumbo, fried fish, and even the occasional boudin link. Phil lives off the land and, frankly, doesn’t think very highly of the lifestyle the rest of us non-outdoorsy types choose to live. I dwell comfortably in the suburbs buying my groceries at Kroger where the butcher kindly dresses my meat. In some ways, Phil and I have about as much in common as Snooki and the Pope, which is why it may seem odd that I have been sucked into Phil Robertson’s world via the uber-popular Duck Dynasty reality show. Yelp reviews can be a good thing for both consumers and business owners alike. However Yelp has this annoying “review filter” that is supposed to block out reviews that are not legitimate. I have 6 reviews on Yelp from actual customers and they all have been filtered. Charlie is very professional and does an excellent job. I highly recommend him to do your upholstery or carpet cleaning. Charlie was reffered to me by an aquaintence/customer, He did an outstanding job cleaning &stretching the carpet, & recoating the hardwood in the house we just purchased. will use again & recomend to anybody ! We thought we would have to recarpet. Carpet Geek cleaned the carpets up, even removing red candle wax that had gotten embedded in the carpet. Thank-you Carpet Geek! Carpet Geek is the best carpet cleaners in the valley. Not only is the price right but the quality of work is fantastic. Charles Lyman was professional and extremely friendly and truly cared about the quality of service he was providing. He went above and beyond my expectations. If you do not use Carpet Geek you are not only paying to much but are not receiving quality and great service. Call them for your next carpet cleaning you will not regret or have buyers remorse. Great work, very friendly, was able to schedule me quickly…I am very satisfied! I have used this service several times and he always goes above and beyond to make sure my carpets get the treatments they need. They are professional and always show up on time! Thank you to everyone that has left us a review on Yelp, Google, KTVB, or Angie’s List! We look forward to serving you again and adding more satisfied customers to reviews!